I’ve got another huge zuke! 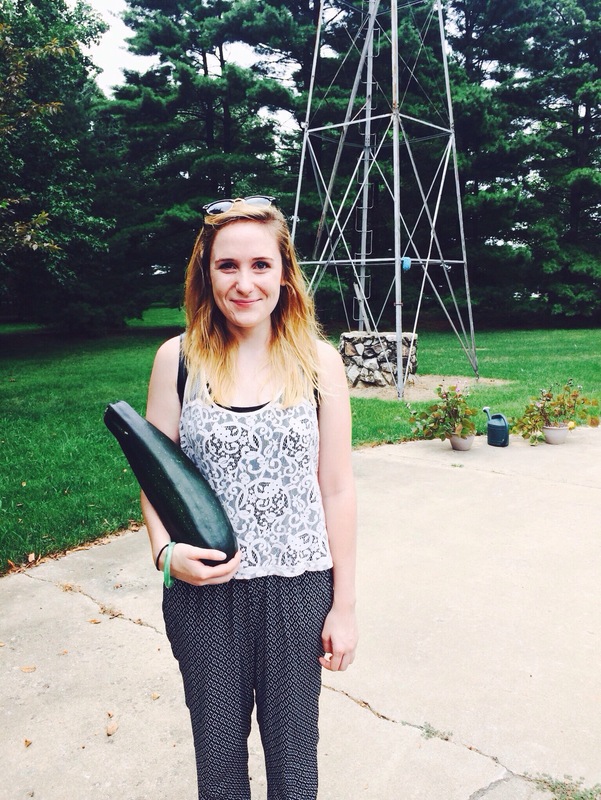 We went out to my boyfriend’s parents’ house on Sunday afternoon and I came back with an amazing load of freshly-picked veggies, including a zucchini even larger than my last one. That one zuke fed us both two full meals, so I am always happy to have vegetables I can stretch that far. The tricky part, duh, is figuring out what to do with it. Originally I was going to make zucchini bread, but listen y’all, it’s over 90 degrees in IL currently and officially too hot for ovens in my non-AC house. I’m melting away as we speak. 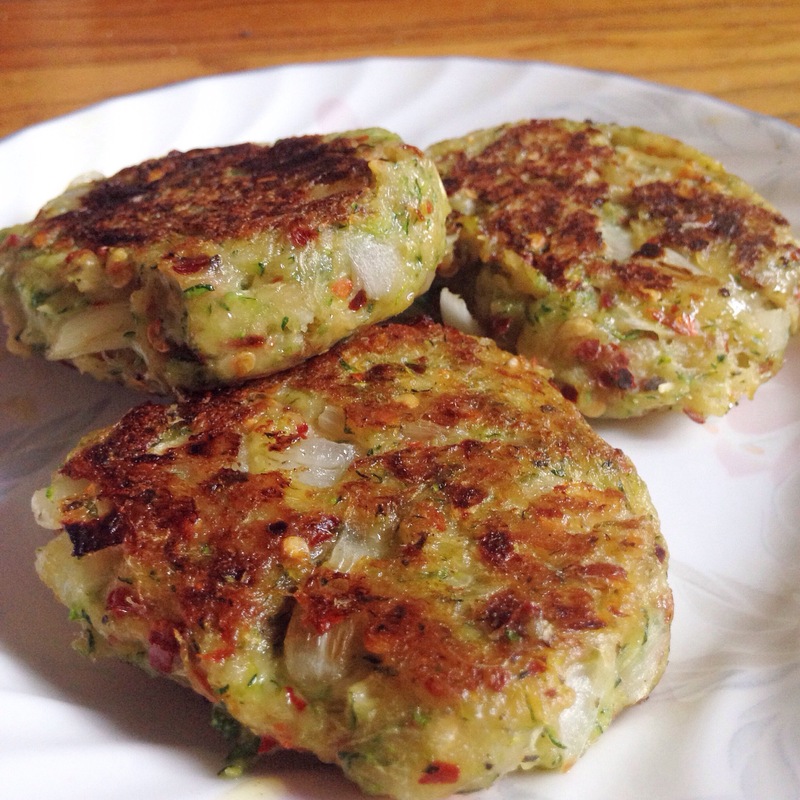 Plus I sort of felt like I was in the mood for something savory, so I settled on zucchini fritters. Can be made on the stovetop with minimal sweating and perfect for a light lunch or savory snack on a hot day. First, grate the zucchini into a medium mixing bowl, or grate using your food processor. I hate cleaning mine, so I grated by hand. Then you gotta get the excess water out. Some will already be out through grating and sitting in the bowl, so drain that out. Then place the grated zucchini in something you can use to wring the water out. Most recipes say a clean towel – I usually use a few layers of coffee filters. Anyway put the zucchini in the towel or filters and squeeze out as much water as you can. I do it twice, switching to new filters half way through. When your arms start getting tired, put the zucchini back into the bowl. Dice 1/2 an onion and add to the bowl, and mince in a garlic clove. Add the crushed red pepper, cumin and black pepper, and a pinch of salt if you want. Feel free to spice it differently if you are feeling inspired. Add 1/2 cup of flour and mix it all around until well combined. Preheat a large, flat-bottomed skillet with a tablespoon or so of olive oil. 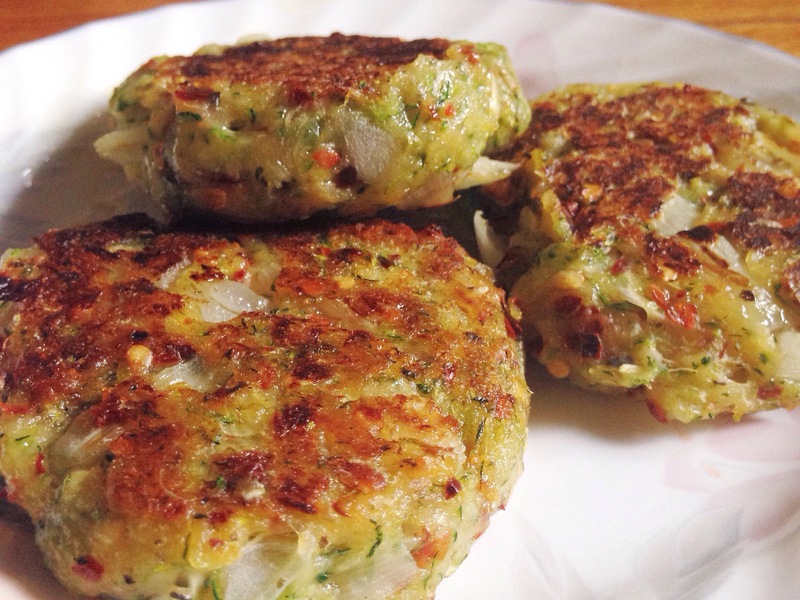 Using your hands, press the zucchini mixture into patties and place in the hot pan to cook. Bake until the underside is golden brown, about 5 -7 minutes, then flip them and cook until the other side is golden brown too. Serve a couple for lunch with a side salad or pack one for a veggieful afternoon snack. Or eat inside bread as a veggie burger? With hummus? I haven’t tried that but it sounds damn good. Hi! 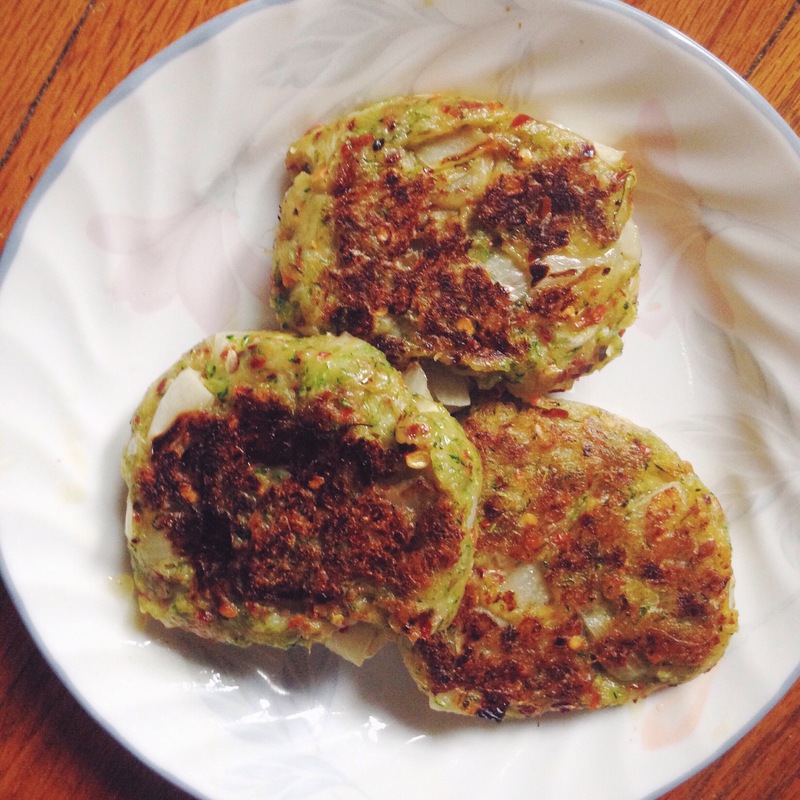 Love your use of zucchini, I have been trying to find ways to use all of mine as well! I recently made Zucchini waffles I think you may enjoy them.